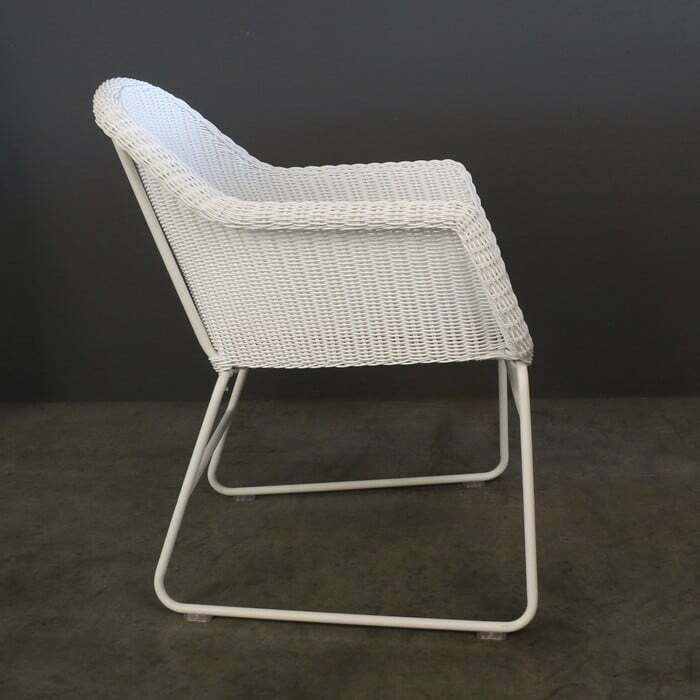 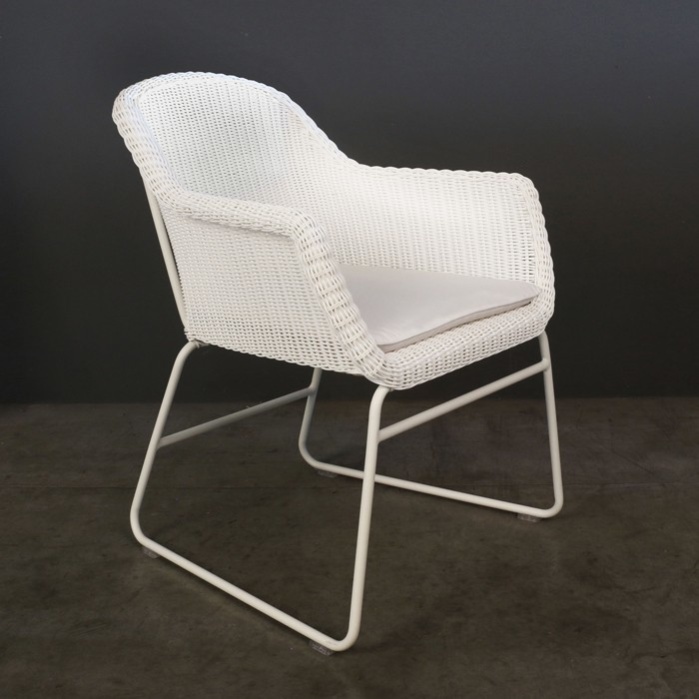 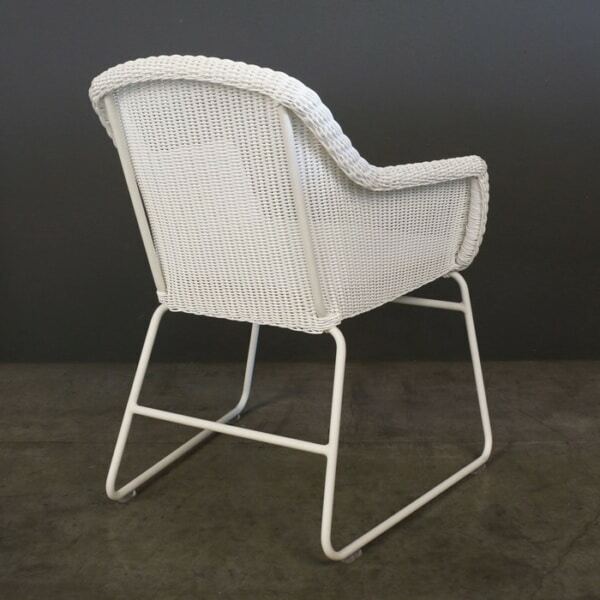 Create a classic and beautifully styled outdoor dining space with the Harbour Wicker Outdoor Dining Chair in white. 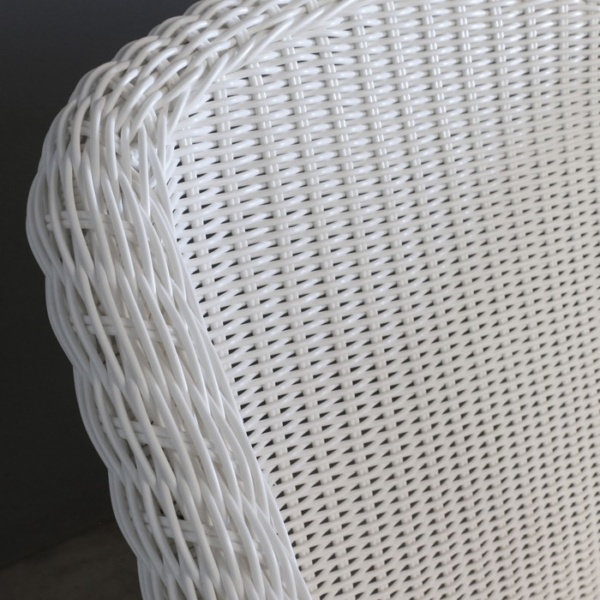 It has a light and airy summer vibe with the appeal of a traditional outdoor wicker weave. 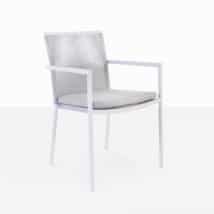 The curvy frame along with the sleek legs keep it contemporary and very durable. 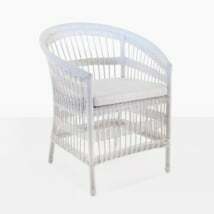 The Harbour Wicker Dining Chair is constructed with a powder-coated aluminum frame and premium outdoor wicker. 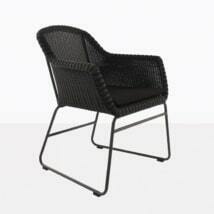 These materials are perfect for outdoor use and maintenance is minimal. 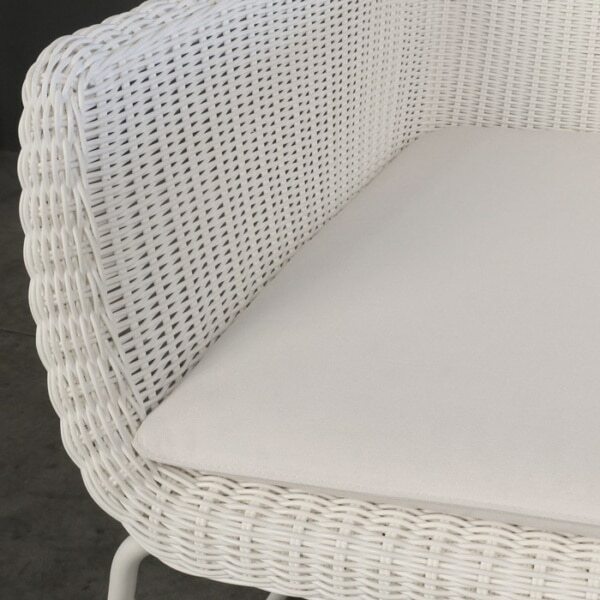 A Sunbrella® seat cushion in white is included with the chair. The Harbour dining chair is comfortable, relaxed and a great way to enjoy outdoor dining. It will pair beautifully with many of our outdoor dining tables depending on the look you want to achieve.